Columbia Records launched a new microgroove record, pressed in vinylite, that played at 33 1/3 rpm on June 21, 1948, marking the end of the 78 rpm shellac records and sparking a music-industry standard so strong that the digital age has yet to kill it. Developed by recording engineer Peter Goldmark, the 33 1/3 rpm record could play for twenty-three minutes per side, holding 224 to 300 grooves per inch, which compared to an average of 85 grooves per inch on 78 rpm shellac records. 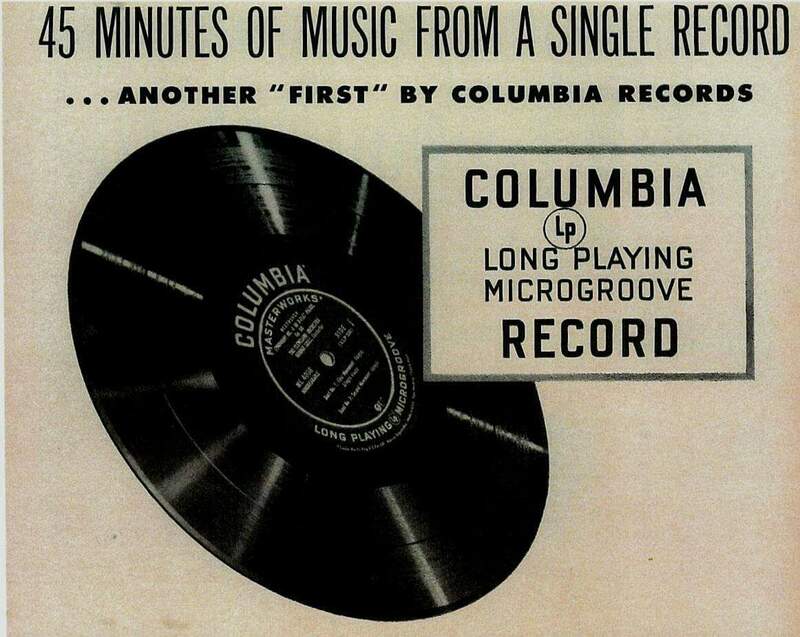 The following year, RCA Victor introduced the smaller 45 rpm microgroove record, also pressed in vinylite, and for a year there was a battle of the speeds, but in 1950 Victor began to produce both the 33 1/3 rpm microgroove record for longer works and the smaller 45 rpm records, which proved more ideal for popular music.